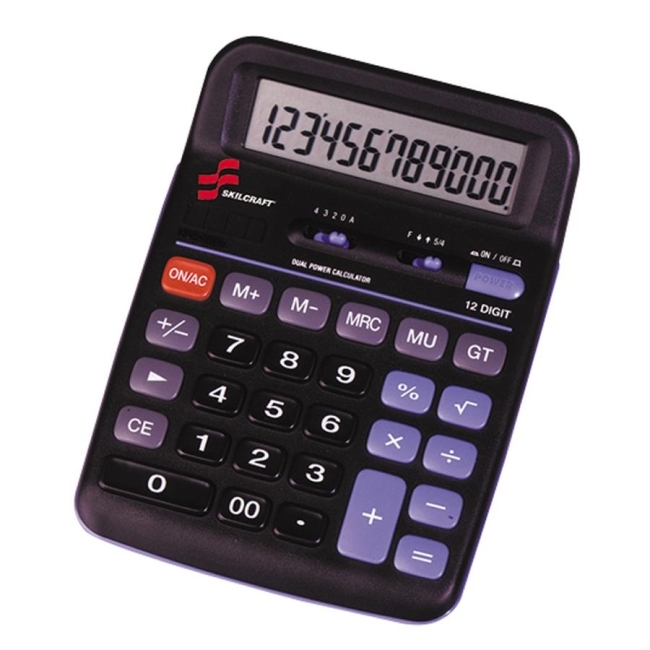 12-digit dual-powered, portable desktop calculator uses both solar and battery power. Big-numbered, angled display is easy to read. 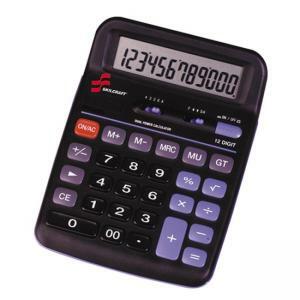 Calculator body and keys are ergonomically designed. Calculator features three memory keys, square root, sign change, sign shift and "00" keys.